Congress has taken its first steps at setting funding levels for FY19 and at first glance, it looks positive for some key science agencies. The House Appropriations committee last week passed it’s version of the FY19 Commerce, Justice, Science appropriations and included a 5.2 percent overall increase for NSF, including a 5.0 percent increase to the Foundation’s Research and Related Activities Account vs. FY18 (which was a 5.0 percent increase over FY 17). That’s a great place to start as the House has tended to be a bit more parsimonious for the research accounts than their counterparts in the Senate (who will consider their version of the bill later this year). NSF’s Education and Human Resources account would see flat funding compared to FY18. Major Research Equipment would see a boost of nearly 50 percent to $268 million for a couple of telescopes and a regional class research vessel. The committee also published its report accompanying the bill, which contains some additional detail. Some of the interesting/relevant bits of the NSF section. The Committee recommends $8,174,890,000 for the National Science Foundation. This significant investment, which is $407,534,000 above fiscal year 2018, shows the Committee’s support of science, the academic community, and the next generation of scientists, mathematicians, astronomers, and engineers across the country. The Committee underscores the importance of basic research that both improves the lives of Americans and expands our understanding of the Earth, the depths of our oceans, our Solar System, the Universe, and oceans on other planets. NSF must redouble its important efforts thus far to ensure that this funding is invested wisely to improve our way of life and expand our knowledge base. The Committee supports infrastructure investments that expand our understanding of the universe and inspire students to pursue careers in the sciences. The Committee recognizes that current and future large scientific facilities represent an enormous investment of Federal resources that must be administered wisely. The Committee recommends $6,651,500,000 for Research and Related Activities, which is $317,024,000 above fiscal year 2018 and $500,820,000 above the request. The Committee believes that strategic investments in the physical sciences are vitally important for the United States to remain the global leader in innovation, productivity, economic growth, and good-paying jobs for the future. Computer Information Science and Engineering (CISE).—The Committee supports CISE efforts to work with the Division of Research on Learning in Formal and Informal Settings within Education and Human Resources to build on current efforts to support computer science education in Pre-K–12 classrooms. High-performance computing planning.—The Committee believes it is strategically important to preserve U.S. leadership in quantum computing and urges NSF to make significant investments in this area. The Committee commends NSF on its commitment to high performance computing and data analysis capabilities and urges NSF to make timely and significant investments in high-performance computing. NSF should remain committed to enabling leaps in computational simulation and data analyses for the broad range of research the Nation requires and as recommended by the recent National Research Council (NRC) report, Future Directions for NSF Advanced Computing Infrastructure to Support U.S. Science and Engineering in 2017–2020. Within 180 days of enactment of this Act, NSF shall provide the Committee with an update on its high-performance computing investment plans as well as a response to the NRC report and its plans to incorporate, to the extent practicable, the NRC’s recommendations regarding NSF’s approach for maintaining and modernizing its supercomputing capabilities at existing or future facilities. STEM education.—NSF shall continue to award competitive, merit-reviewed grants to support STEM education as authorized by the STEM Education Act of 2015 (Public Law 114–59). In addition, the Committee expects NSF to provide grants for research about STEM education approaches and the STEM-related workforce in order to develop innovations in mentoring, training and apprenticeships. Broadening participation programs.—To broaden the participation of underrepresented populations in STEM education programs and, ultimately, the STEM workforce, the recommendation provides no less than $35,000,000 for the Historically Black Colleges and Universities Undergraduate Program; $46,000,000 for the Louis Stokes Alliance for Minority Participation; $64,500,000 for the Robert Noyce Teacher Scholarship Program; and $14,000,000 for the Tribal Colleges and Universities Program. Hispanic Serving Institutions (HSIs).—Hispanic Serving Institutions and the HSI grant program play an important role in increasing the recruitment, retention and graduation rates of Hispanic students pursuing STEM degrees. The Committee directs NSF to fund the HSI-specific program and demonstrate a $50,000,000 investment no later than September 30, 2019. Innovation Corps.—The recommendation includes no less than the fiscal year 2018 level for the NSF Innovation Corps program to support new and existing I–Corps Teams, Sites, and Nodes. Cybersecurity research.—The Committee encourages NSF to form partnerships with Hispanic Serving Institutions and Historically Black Colleges and Universities with respect to cybersecurity research. Safeguarding U.S. research advances.—The Committee directs the National Science Foundation, in consultation with the Federal Bureau of Investigation and the National Institute of Standards and Technology and other agencies as needed, to work with the academic community, through workshops or other mechanisms as appropriate, to identify best practices for universities and institutions of higher education so that they may be aware of and can address data security concerns, including intellectual property protection in NSF-funded research projects or at NSF-funded facilities. NSF shall report to the Committee within 180 days of enactment of this Act regarding how it plans to implement this direction. The bill also contains funding for the National Institute of Standards and Technology. The subcommittee would fund core research programs at NIST slightly below FY18 levels in the bill, but cut research facility construction by nearly 18 percent. Even with the reductions, the appropriators would fund NIST science activities at a level 56 percent higher than the President requested in his budget. House appropriators also approved their version of the Energy and Water appropriation bill, which includes funding for the Department of Energy’s Office of Science and ARPA-E. In the bill the Office of Science would receive an increase of 5.4 percent over FY18 — far better than the 11.8 percent reduction called for in the President’s budget request. In the report accompanying the bill, we learn that the House appropriators were even more generous to the Office of Science’s Advanced Scientific Computing Research (ASCR) program than the President’s already significant request. Artificial intelligence technologies that may improve the analysis and interpretation of big data can lead to substantial improvements in the Department’s ability to meet its nuclear security, energy, and science missions. The Committee provides $26,000,000 to launch an artificial intelligence and big data initiative. 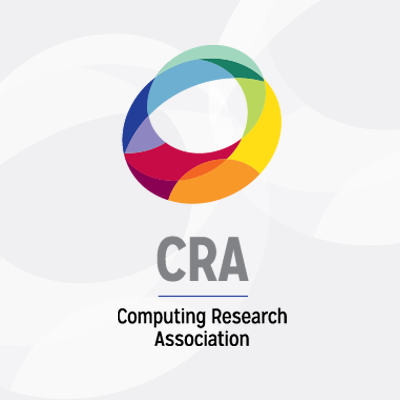 The report also encourages the Department to “prioritize research in applied and computational mathematics, supercomputing, and quantum computing to ensure the U.S. remains competitive in this field.” ARPA-E continues to receive funding in the House bill, though down a bit from FY18. ARPA-E would be funded at $325 million in FY19, down from $353 million in FY18, but way above the $0 requested by the President. So, this is a good start for some key science agencies. It’s certainly much much better than the President proposed back in February, but with the two-year budget agreement in place, we knew there was still room for continued growth after some healthy increases in FY18. Having been approved by the committee, the bills will head to the House floor in the coming weeks. We’ll keep an eye on how things progress, as well as an eye on the Senate. Until then, a little good news. We’ll have more details as we learn them!